This is by far one of the coolest social initiatives I have ever come across. Don’t believe what you hear from vested interests, rent-a-quote ‘scientists’ and’ bought’ politicians. 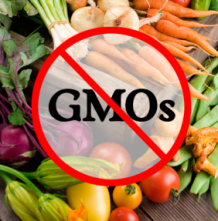 After nearly 20 years of promises that genetically modified food would revolutionise our world, feed the hungry, boost the yields and therefore the incomes of farmers, and even cure disease, genetically modified crops have never lived up to those promises. These are the genetically modified failures that big biotech refuses to be accountable for, doesn’t want you to know about and the reasons why we continue to say ‘NO!’ to GMOs. Despite the hype, genetic modification consistently fails to live up to industry claims. Only two GM traits have ever made it to market – herbicide resistance and BT toxin expression. Other promises of genetic modification have failed to materialise.